Wu Yi Dao (Leung) and Miao Ren Feng (Man) are both leading figures in the rebellion. They arrange to meet each other for a duel to discover who is the greater fighter. 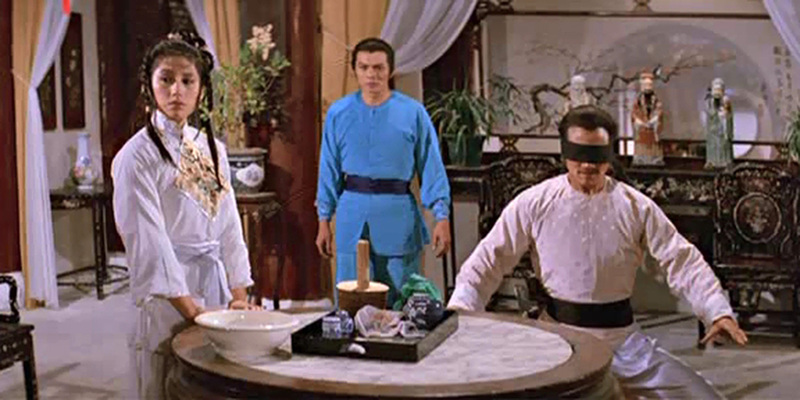 Wu Yi Dao is killed during the duel and then shortly afterwards, because of the grief, his wife commits suicide. Miao Ren Feng is left to raise the deceased couple’s newly born baby, Wu Fei. 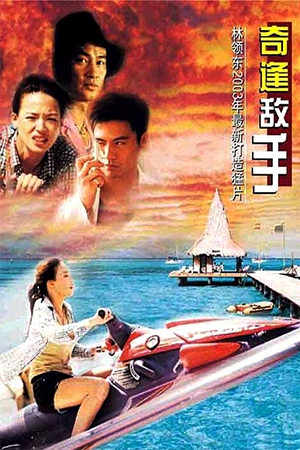 Miao’s treacherous younger brother attempts to murder the infant but is thwarted by a servant who escapes with the child. This servant raises Wu Fei (Wong) until he is old enough to seek revenge for his parents death. ‘New Tales of the Flying Fox’ is based upon the novel ‘Flying Fox of the Snowy Mountain’ which was written by Jing Yong. 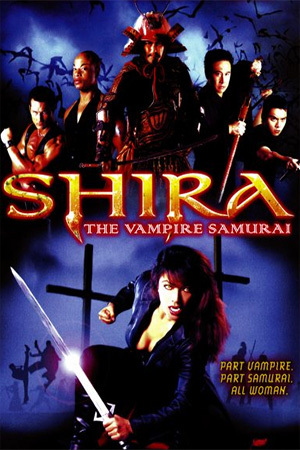 The story has been the basis for a TVB series and another Shaw Brothers actioner ‘Legend of the Fox’ (starring the ‘Venoms’). This is classic wuxia which means there’s swordfights, heroism, sacrifice, romance and more twists than a Chubby Checker convention (…ask your parents). ‘Snowy Fox’ is a large and dense novel and the makers of this film appear to have attempted to cram as much of it into a ninety minute running time as they possibly could. The movie scoots along at a rapid pace and is certainly not dull. You are never too far away from the next plot development, new character or fight. This is good news for people like me who have the concentration span of a bluebottle with ADHD. This high pace is also good news for action fans because there are plenty of fights and they are of an extremely high standard. I’m not a big fan of wirework but here it is used very effectively. Wirework, swordplay and good old fashioned handwork are mixed brilliantly and very entertainingly. The combination of action styles compliments the style of the story really well and keep things feeling fresh and exciting throughout. Alex Man and Felix Wong both do an excellent with the tight choreography, as you would expect of two stars of many TVB series. Felix Wong’s all round performance is very good. He brings the right amount of charm, youthfulness and heroism needed for the role of Wu Fei and carries the film well. It’s a shame that Wong, one of the ‘Five TVB Tigers’ (along with Andy Lau, Tony Leung Chiu Wai, Michael Miu and Kent Tong) got a lead role in a Shaw production just at the end of the studio’s golden period. He had all the right attributes to have a been a big star for the film-making giants. He’s ably supported by Lau Kar Leung protégé Kara Hui who gives a feisty performance. 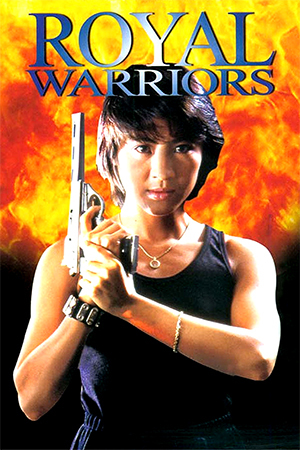 She gets to show off her considerably fighting skills in some of the best action set pieces in the film. The fabulous Leung Kar Yan is also worth noting. He might only have a small role at the start of the film but he gets the ball rolling with some excellent scraps. 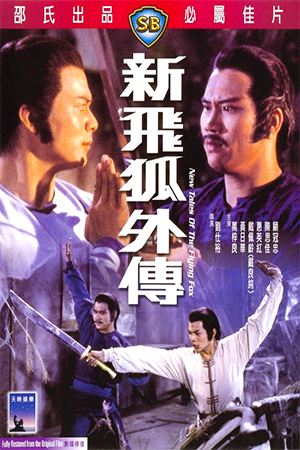 New Tales of the Flying Fox has all the ingredients to be an all time kung fu classic in my eyes but for one problem. I think, and this criticism is rarer than a Dean Shek performance that isn’t annoying, that the film is too short. There might be tons of fights and entertainment but there isn’t enough time devoted for character development. 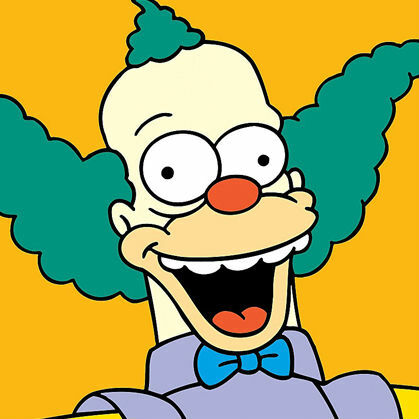 Another 20 or 30 minutes on the running time would have allowed for more depth to the characters without making the film drag. The love triangle, for example, in the second half of the film, that becomes pivotal to the ending of the story is sorely under-developed, which is a shame. The ending also whizzes past and may leave some feeling a little bewildered. 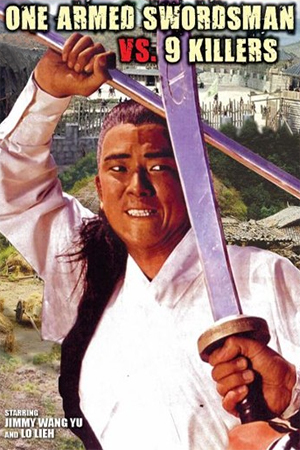 This is a rollicking action-adventure that is packed with top kung fu entertainment but because of a lack of depth misses out on a higher grade.